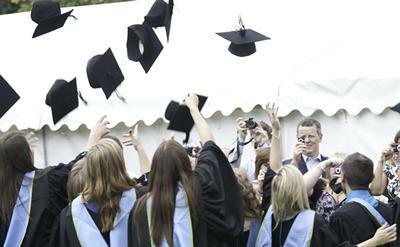 Last year’s graduates from the University of Southampton have fared very well based on the latest graduate employment survey released by the Higher Education Statistics Agency (HESA). According to the Destinations of Leavers from Higher Education (DLHE) in the UK, some 93.9 per cent of full-time undergraduates who received their degrees in 2013/14, were in employment or progressed to further study within six months of graduating. The figure is up 1 per cent from the previous year and reinforces Southampton’s commitment to providing the best possible environment at University for future employability. The news comes just months after Southampton’s graduates consolidated their position amongst the most highly sought after by the UK’s leading employers. According to the annual Graduate Market in 2015 report prepared by High Flier Research, Southampton rose two places to 17th amongst the top universities targeted by the largest number of top employers in 2014-15. This puts Southampton firmly amongst the leading institutions to attract the largest number of top graduate recruiters for campus fairs, recruitment presentations or other local university promotions during 2014-15. 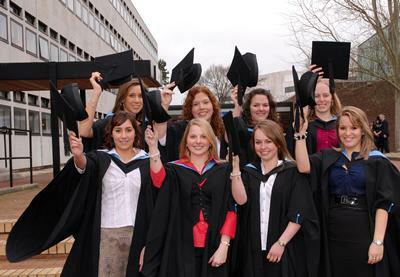 Amongst the Top 100 employers of Southampton graduates are the NHS, the Armed Forces/Ministry of Defence, Deloitte, Price Waterhouse Coopers, JP Morgan, EY (Ernst & Young) KPMG, BAE Systems, Rolls Royce, Jaguar Land Rover & IBM.